"The addition of the ASG Programs team is an exciting way to expand EPIC's presence on the East Coast and add to our already strong Program capabilities," said EPIC CEO John Hahn. "ASG Programs will soon be launching a unique and innovative insurance product designed to protect the education of elite young athletes who are offered college athletic scholarships. This is just one example of the leading work they are doing in the hospitality, sports, recreation and entertainment markets." BOSTON, Mass., Jan. 21, 2014 (SEND2PRESS NEWSWIRE) — EPIC (Edgewood Partners Insurance Center edgewoodins.com) a retail property, casualty insurance brokerage and employee benefits consultant, announced today it has acquired certain assets of program specialist Altus Specialty Group (ASG), namely the program book of business (ASG Programs). The acquisition of this business comes on the heels of EPIC’s November 2013 announcement of plans to pursue national expansion, backed by capital from The Carlyle Group and Stone Point Capital. EPIC also recently announced the acquisition of Atlanta’s The McCart Group, a leading regional insurance broker in the Southeastern United States ( http://www.edgewoodins.com/story/news/epic-announces-expansion-to-the-southeast ). Based in Boston and led by Managing Partner Chris Price and Vice-President of Business Development and Client Services Jon Fador, ASG Programs is the program manager for specialty products and services targeting bowling and family entertainment centers; youth, amateur and semi-professional football leagues; tennis centers and tennis teaching professionals; amateur bass angler fishing leagues and associations; youth and amateur lacrosse leagues; and amateur athlete training facilities. In addition, ASG Programs will bring Education Protector(SM) (EdPro) to the EPIC Specialty and Programs business. Education Protector is a unique program designed specifically for eligible high school athletes under 21 years old who have received a verbal athletic scholarship offer. This program provides coverage for the window of time between the extension of a Verbal Offer and the formal signing of the Letter of Intent or an athletic grant from an institution of higher learning. When launched, it will be the only coverage of its kind available. 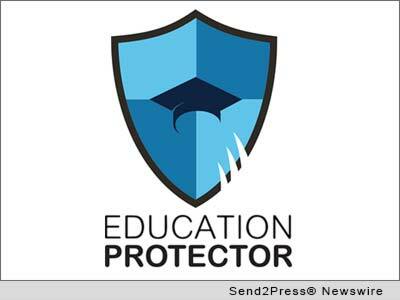 Learn more: http://www.educationprotector.com/. EPIC has been growing rapidly since its 2007 launch and is currently ranked by Business Insurance Magazine as the eighth largest broker based in the western United States. In addition to nine locations across California, EPIC now counts operations in Atlanta, Boston, Chicago, Denver and New York, as the company continues to execute an aggressive national expansion plan. EPIC is a unique and innovative retail property & casualty and employee benefits insurance brokerage and consulting firm. EPIC has created a values-based, client-focused culture that attracts and retains top talent, fosters employee satisfaction and loyalty and sustains a high level of customer service excellence. EPIC team members have consistently recognized their company as a “Best Place to Work” in multiple regions across California and as a “Best Place to Work in the Insurance Industry” nationally. The 8th largest broker based in the U.S. West, EPIC has more than 450 team members operating from nine offices across California (Los Angeles, Irvine, Inland Empire, Fresno, Folsom, San Francisco, San Mateo, Petaluma and San Ramon) and in Atlanta, Boston, Chicago, Denver and New York. With more than $100 million in revenues, EPIC ranks among the top 30 retail insurance brokers in the United States. Backed by the Carlyle Group and Stone Point Capital, the company’s strategic plan calls for a dramatic increase in revenue ($250 million by 2018) and further expansion across the country. For additional information, please visit http://www.edgewoodins.com/. * LOGO 300dpi for media: Send2Press.com/wire/images/14-0121-edpro_300dpi.jpg . Original Keywords: Edgewood Partners Insurance Center, EPIC CEO John Hahn, retail property, casualty insurance brokerage and employee benefits consultant, The McCart Group, Altus Specialty Group, Education Protector, The Carlyle Group and Stone Point Capital Edgewood Partners Insurance Center Boston Massachusetts BOSTON, Mass. REFERENCES: Boston Business News, Edgewood Partners Insurance Center, EPIC CEO John Hahn, retail property, casualty insurance brokerage and employee benefits consultant, The McCart Group, Altus Specialty Group, Education Protector, The Carlyle Group and Stone Point Capital Edgewood Partners Insurance Center Boston Massachusetts BOSTON, Mass.